White Gold Diamond Rings - Brisbane, Gold Coast, Sydney and Melbourne. 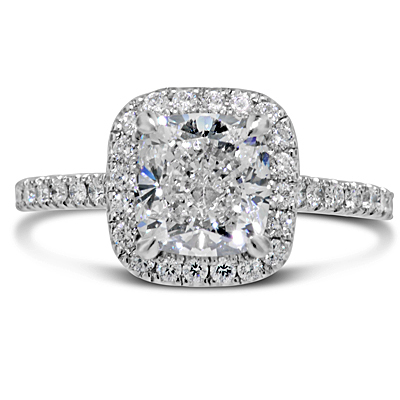 The current choice for Engagement and Diamond rings sees White Gold and Platinum being the preferred metal. Nick has a collection of beautiful hand made Diamond rings from his Brisbane Studio in both Platinum and White gold. With his skill and expertise having over 30 years experience as a Master Jeweller Nick has created stunning White gold Diamond Rings which endow a sense of style , elegance, sophistication and unique elegance on all that wear them. Are you looking for the perfect white diamond ring ring that will express the love and commitment that you and your partner share? If its important to you and your fiancé that the diamond engagement ring she wears, the one she will look at all day, every day is a unique bespoke creation and hand made to the highest quality you have come to the right place. Allow Nick to show you a selection of his stunning handmade white gold diamond rings which include popular Diamond Solitaires, Diamond 3 stone rings and Diamond Halo rings. His designs, set with the finest wholesale white diamonds include mesmerizing Pink and yellow diamonds in all shapes and sizes from Western Australia. If you are looking for a unique white gold or platinum diamond ring, make an appointment with Nick in either his Brisbane Studio or Sydney/Melbourne offices and let him show you The Diamond Jewellery Studio difference.